"This guy is the real deal. 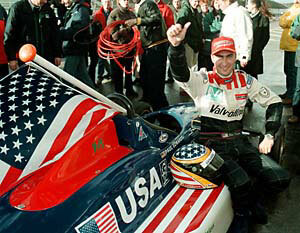 First American I have seen in a long time that could have a future in Formula One." Dan Partel, head of EFDA(European Formula Driver's Association) drivers through EFDA include: Ayrton Senna De Silva, Mika Hakkinen, Danny Sullivan, and 200+ more.